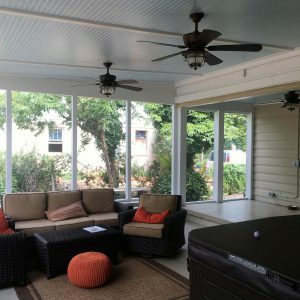 Giddens Construction building and renovations specializes in new building, 2nd floor additions, and renovations in the Raleigh NC Area and Coastal NC Area. We work with you to get the design and look you want… to YOUR satisfaction! 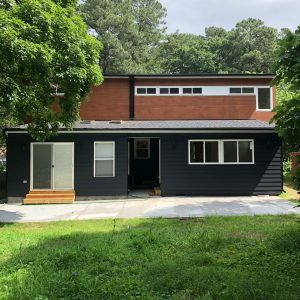 From historic home renovations in the Raleigh, NC area to durable and quality construction in the coastal NC area, you will find our values of excellence, thoroughness, timeliness and integrity refreshing. 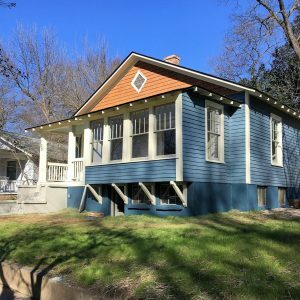 When you choose Giddens Construction as your remodeling contractor, you can feel good knowing that you are getting a professional team that is dedicated to providing the best possible service and highest quality craftsmanship. We look forward to working with you! The level of service at Giddens Construction is fantastic. Having been a customer for many years, I am consistently impressed by the professionalism of every staff member I have come in contact with. Thank you! Where to start. Our house was built in the mid ’50’s. We have lived here for 7 years and have no plans to move. So this wasn’t one of those, fix at the bare minimum you can get away with and then turn around and sell type of renovations. We interviewed four General Contractors. We chose Corey (Giddens) for multiple reasons – 1) He was referred to us by someone we trust, 2) He was prompt with our meetings and with getting us our estimate, 3) His prices were the most reasonable because he has a core team (of 3) that he uses and doesn’t sub-contract everything out to others, and subsequently charge a markup for, 4) His Grandfather was a Contractor, his Dad was a Contractor. It’s in his blood. These guys are amazing. It’s hard to write a review that will do them justice because I’m sure I will leave something out. They were at our house every day, on time, and worked straight through (other than a short break for lunch). They are so nice that I think I will actually miss having them around. The quality of work is unbelievable. My husband and I think of them as artists. They take pride in their work, and they should! We asked them to do a few things that they hadn’t done before and they didn’t even hesitate. They jumped at the opportunity to try something new. They even made a few suggestions on things that I hadn’t thought of, and I’m so glad they did. I had been researching for 5 months before we began construction. I knew exactly what I wanted. I knew what counter tops I wanted, what vanities I wanted for each bathroom, light fixtures, tile, paint color, doors, closet design – everything. Anytime it looked like my tastes might take us over budget, Corey made sure to sit down with me so we could talk through it – before he did the work. I’ve heard of so many people who find out, after it’s too late to make any changes, that they were over budget. I love our house. I would not change a thing and I cannot wait for all our friends and family can see how beautiful our new, old, home is!